The South Korean trawler Seo Jin No. 11 caught fire while in harbor in Montevideo, Uruguay. 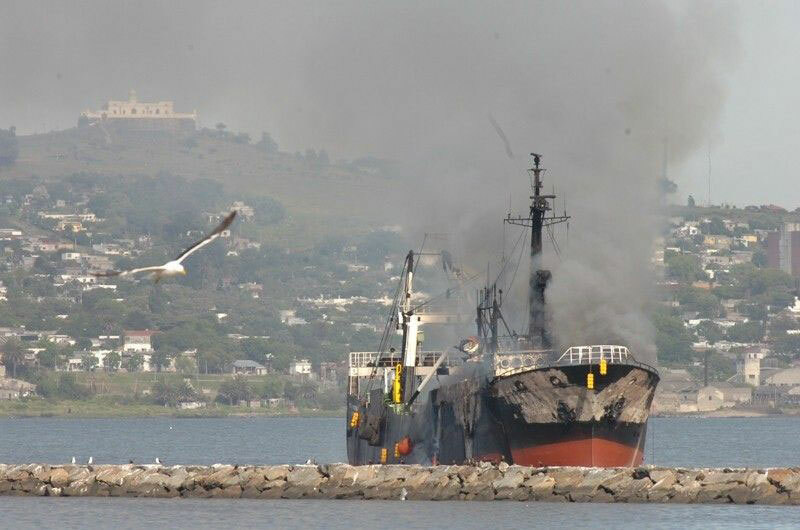 The fire onboard could not be contained and the vessel was towed out to the outer harbor. The Seo Jin was loaded with ammonia for the refrigeration system and fuel onboard. Reports state 38 crew evacuated with 1 crewman lost.